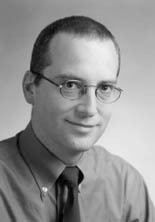 John F. Hartwig will be awarded the 2004 Thieme–IUPAC Prize in recognition of his outstanding achievements in the field of synthetic organic chemistry. Hartwig’s independent research program is focused on the discovery, development, and understanding of new reactions catalyzed by transition metals. The scope of his research is extensive and he has created practical, catalytic synthetic methods that have a direct and relevant impact on synthetic chemists in many fields worldwide. Such goals have been achieved by obtaining insight from detailed mechanistic studies. He will be awarded the prize at the Award Lecture on 3 August 2004 at ICOS-15 in Nagoya, Japan. The Thieme–IUPAC Prize, consisting of 5000 Euros, is awarded every two years on the occasion of IUPAC’s International Conference on Organic Synthesis to a scientist under 40 years of age, whose research has had a major impact on the field of synthetic organic chemistry. The prize is sponsored jointly by Georg Thieme Verlag, IUPAC, and the editors of Synthesis, Synlett, Science of Synthesis, and Houben-Weyl. John F. Hartwig was born in 1964 in Illinois, and raised in upstate New York. He obtained his B.A. in 1986 from Princeton University and then went on to complete his Ph.D. in 1990 under the collaborative direction of Robert Bergman and Richard Andersen at the University of California, Berkeley. Following a postdoctoral fellowship for the American Cancer Society with Stephen Lippard at the Massachusetts Institute of Technology, he joined the faculty at Yale University in 1992, where he is now professor of chemistry. Hartwig was co-developer of the palladium-catalyzed amination of aryl halides, the resulting aryl amines being ubiquitous among pharmaceutically relevant compounds. This chemistry is now used on a daily basis by medicinal and agrochemical chemists. His expertise in palladium chemistry has been extended to the catalytic α-arylation of carbonyl compounds. The development of this chemistry has allowed synthetic chemists to expand the repertoire of traditional enolate/electrophile pairs to include aryl halides, which do not couple with enolates in the absence of a catalyst. These α-arylations can be used to generate a number of biologically active compounds, including ibuprofen, naproxen, and tamoxifen. Page last modified 19 May 2004.